This family-friendly Bad Harzburg resort is located in Goslar Rural District, within 2 mi (3 km) of Harz Golf Club and Burgberg Cable Car. Marktkirche St. Cosmas und Damian and Harz National Park are also within 12 mi (20 km). Bad Harzburg Station is 27 minutes by foot. Located in Goslar Rural District, this resort is 1.5 mi (2.3 km) from Harz Golf Club and 1.5 mi (2.4 km) from Burgberg Cable Car. Harz National Park and Marktkirche St. Cosmas und Damian are also within 12 mi (20 km). Bad Harzburg Station is 26 minutes by foot. 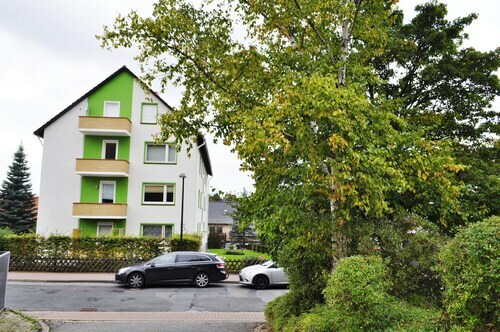 This apartment building is located in Bad Harzburg (Goslar Rural District), close to Burgberg Cable Car and Harz Golf Club. Area attractions also include Brocken and Oker Dam. Located in Goslar Rural District, this apartment building is 1.5 mi (2.4 km) from Harz Golf Club and 1.5 mi (2.5 km) from Burgberg Cable Car. Harz National Park and Oker Dam are also within 12 mi (20 km). Bad Harzburg Station is 28 minutes by foot. Located in Goslar Rural District, this property is 0.8 mi (1.2 km) from Burgberg Cable Car and 1.5 mi (2.5 km) from Harz Golf Club. Harz National Park is 10.6 mi (17.1 km) away. Located in Goslar Rural District, this vacation home is 0.8 mi (1.2 km) from Burgberg Cable Car and 1.5 mi (2.5 km) from Harz Golf Club. Harz National Park is 10.6 mi (17.1 km) away. Located in Goslar Rural District, this hotel is 1 mi (1.7 km) from Burgberg Cable Car and 1.5 mi (2.4 km) from Harz Golf Club. Brocken and Harz National Park are also within 12 mi (20 km). Located in Goslar Rural District, this historic property is within 1 mi (2 km) of Harz Golf Club and Burgberg Cable Car. Harz National Park and Marktkirche St. Cosmas und Damian are also within 12 mi (20 km). Bad Harzburg Station is 22 minutes by foot. This family-friendly Bad Harzburg resort is located in the mountains, within 1 mi (2 km) of Harz Golf Club and Burgberg Cable Car. Marktkirche St. Cosmas und Damian and Harz National Park are also within 12 mi (20 km). Bad Harzburg Station is 22 minutes by foot. 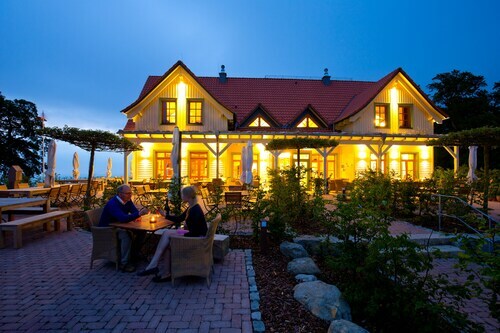 Located in Goslar Rural District, this romantic resort is within 1 mi (2 km) of Harz Golf Club and Burgberg Cable Car. Harz National Park and Marktkirche St. Cosmas und Damian are also within 12 mi (20 km). Bad Harzburg Station is 21 minutes by foot. There aren't many things that can equal the intoxicating sensation of being outdoors. Head to Luchs-Schaugehege Rabenklippe for a much-needed dose. You'll discover it in Bad Harzburg, approximately 130 miles (209 kilometers) from the state capital, Schwerin. You won’t be left out in the cold when trying to book somewhere to stay near Luchs-Schaugehege Rabenklippe. There are 8 hotels within easy commuting distance. The Landhaus Zu den Rothen Forellen and Braunschweiger Hof will provide you with at least some of the features you desire. A perfect option is the Torfhaus HARZRESORT, 5 miles (8 kilometers) away. It's the one upmarket choice around. Rabenklippe (Bad Harzburg) is ideally located for peckish visitors and locals after a busy day of sightseeing. As an added bonus, it's only 0.1 miles (0.2 kilometers) away. For a more relaxing mode of transport that'll give you a great chance to check out the scenery, take a ride on Burgberg-Seilbahn. Head to the fairways at Harz Golf Club, a lovely place to unwind and play a round or two. See beautiful scenery and connect with nature at Harz National Park. Learn how water management performs a significant duty here, when you stop by Oker Dam. Head straight to Museum of Aviation and Technology, where you will learn about the interesting history of flight and the magic and adventure associated with flying. How Much is a Hotel Room in Luchs-Schaugehege Rabenklippe? Hotels in Luchs-Schaugehege Rabenklippe start at $120 per night. Prices and availability subject to change. Additional terms may apply.